Inspired by a mention of arrowroot in Jane Austen's Emma, Mike Freemantle investigates how subtle differences in composition mean starch can be resistant dietary fibre or easily-digested nourishment. Many consume cod liver oil due to 'a vague sense we should be taking them for something' – but what to the omega-3 fatty acids actually do? Ben Valsler with the story of Charlotte Figi, Dravet syndrome and the cannabis compound controlling her condition. From tacky Hallowe’en decorations to the stuff of an arachnophobe’s nightmares, spiders don’t have the greatest reputation. But, as Kat Arney is here to prove, there’s fascinating chemistry at work in their webs. From scabby knees to life-threatening strokes, this important protein is the fundamental link in the complex molecular chain that forms blood clots. Michael Freemantle explores the pigments responsible for the rich colours of autumn foliage: ‘the last smiles of the year upon the tawny leaves’. The Seveso accident saw an accidental release of 2,3,7,8-tetrachlorodibenzo-p-dioxin (TCDD), commonly known as dioxin. Matt Gunther tells the tragic story. Is there really a simple, fruity route to weight loss? Is there a single hormone that causes hunger, and is this it? When the communion bread starts secreting blood, could this be the cause? The tastiest food additive there is, or the greatest threat to life in the western world? What do hygienic work surfaces have in common with 19th century French violins? Brian Clegg finds out. Flibanserin was touted to be the female Viagra. Martha Henriques explains why it failed to live up to the hype. In this week's podcast, Raychelle Burks tells us of the cool but warming effects of methyl salicylate, better known as oil of wintergreen. Raychelle Burks introduces a red dye with a prickly history. Brian Clegg on sodium sulfate, known as 'the miraculous salt' because of its strong laxative effects. Tempted by a tipple of home-brewed moonshine? Andrew Turley examines the risks associated with drinking methanol. Could this be the sweetener that causes the most online panic? Simon Cotton introduces the painkiller tramadol – could this be the next banned drug in competitive cycling? Nature has a range of ways to create bioluminescence. Not to be outdone, chemists create their own glow with diphenyl oxalate. 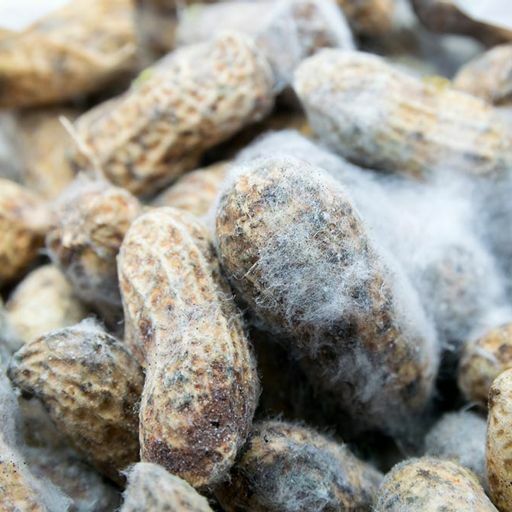 For many, it's the smell of spring and summer. But hexenal - responsible for the aroma of freshly cut grass - makes Simon Cotton think of cricket. A component of natural gas also associated with ignis fatuus and bovine flatulence: Brian Clegg with methane. Lawrencium podcast from Chemistry World - the magazine of the Royal Society of Chemistry. Hassium podcast from Chemistry World - the magazine of the Royal Society of Chemistry. Bohrium podcast from Chemistry World - the magazine of the Royal Society of Chemistry. Berkelium podcast from Chemistry World - the magazine of the Royal Society of Chemistry. Xenon podcast from Chemistry World - the magazine of the Royal Society of Chemistry. Nickel podcast from Chemistry World - the magazine of the Royal Society of Chemistry. Flerovium podcast from Chemistry World - the magazine of the Royal Society of Chemistry. Sodium podcast from Chemistry World - the magazine of the Royal Society of Chemistry. Ununoctium podcast from Chemistry World - the magazine of the Royal Society of Chemistry. Lutetium podcast from Chemistry World - the magazine of the Royal Society of Chemistry. Fermium podcast from Chemistry World - the magazine of the Royal Society of Chemistry. Rhodium podcast from Chemistry World - the magazine of the Royal Society of Chemistry. Darmstadtium podcast from Chemistry World - the magazine of the Royal Society of Chemistry. Molybdenum podcast from Chemistry World - the magazine of the Royal Society of Chemistry. Nobelium podcast from Chemistry World - the magazine of the Royal Society of Chemistry. Gadolinium podcast from Chemistry World - the magazine of the Royal Society of Chemistry. Scandium podcast from Chemistry World - the magazine of the Royal Society of Chemistry. Thorium podcast from Chemistry World - the magazine of the Royal Society of Chemistry. Niobium podcast from Chemistry World - the magazine of the Royal Society of Chemistry. Dysprosium podcast from Chemistry World - the magazine of the Royal Society of Chemistry. Samarium podcast from Chemistry World - the magazine of the Royal Society of Chemistry. Meitnerium podcast from Chemistry World - the magazine of the Royal Society of Chemistry. Dubnium podcast from Chemistry World - the magazine of the Royal Society of Chemistry. Mendelevium podcast from Chemistry World - the magazine of the Royal Society of Chemistry. Roentgenium podcast from Chemistry World - the magazine of the Royal Society of Chemistry. Silicon podcast from Chemistry World - the magazine of the Royal Society of Chemistry. Thulium podcast from Chemistry World - the magazine of the Royal Society of Chemistry. Rutherfordium podcast from Chemistry World - the magazine of the Royal Society of Chemistry. Actinium podcast from Chemistry World - the magazine of the Royal Society of Chemistry. Holmium podcast from Chemistry World - the magazine of the Royal Society of Chemistry. Yttrium podcast from Chemistry World - the magazine of the Royal Society of Chemistry. Neptunium podcast from Chemistry World - the magazine of the Royal Society of Chemistry. 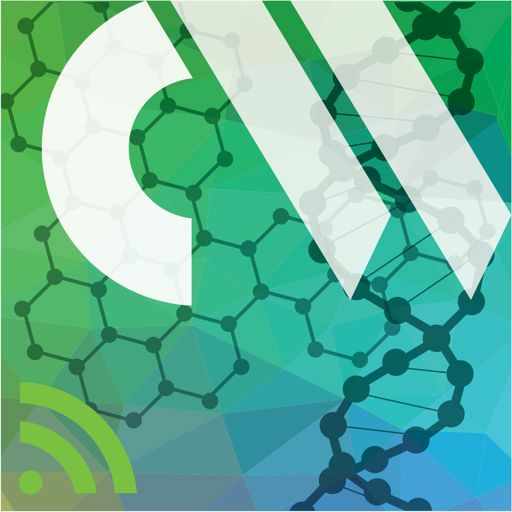 Chromium podcast from Chemistry World - the magazine of the Royal Society of Chemistry. Titanium podcast from Chemistry World - the magazine of the Royal Society of Chemistry. Einsteinium podcast from Chemistry World - the magazine of the Royal Society of Chemistry. Ytterbium podcast from Chemistry World - the magazine of the Royal Society of Chemistry. Palladium podcast from Chemistry World - the magazine of the Royal Society of Chemistry. Element 112 podcast from Chemistry World - the magazine of the Royal Society of Chemistry. Terbium podcast from Chemistry World - the magazine of the Royal Society of Chemistry. Rhenium podcast from Chemistry World - the magazine of the Royal Society of Chemistry. Indium podcast from Chemistry World - the magazine of the Royal Society of Chemistry. Iridium podcast from Chemistry World - the magazine of the Royal Society of Chemistry. Protactinium podcast from Chemistry World - the magazine of the Royal Society of Chemistry. Tantalum podcast from Chemistry World - the magazine of the Royal Society of Chemistry. Rubidium podcast from Chemistry World - the magazine of the Royal Society of Chemistry. Hafnium podcast from Chemistry World - the magazine of the Royal Society of Chemistry. Lanthanum podcast from Chemistry World - the magazine of the Royal Society of Chemistry. Ruthenium podcast from Chemistry World - the magazine of the Royal Society of Chemistry. Thallium podcast from Chemistry World - the magazine of the Royal Society of Chemistry. Tungsten podcast from Chemistry World - the magazine of the Royal Society of Chemistry. Krypton podcast from Chemistry World - the magazine of the Royal Society of Chemistry. Vanadium podcast from Chemistry World - the magazine of the Royal Society of Chemistry. Selenium podcast from Chemistry World - the magazine of the Royal Society of Chemistry. Tin podcast from Chemistry World - the magazine of the Royal Society of Chemistry. Radon podcast from Chemistry World - the magazine of the Royal Society of Chemistry. Iron podcast from Chemistry World - the magazine of the Royal Society of Chemistry. Platinum podcast from Chemistry World - the magazine of the Royal Society of Chemistry. Zirconium podcast from Chemistry World - the magazine of the Royal Society of Chemistry. Radium podcast from Chemistry World - the magazine of the Royal Society of Chemistry. Iodine podcast from Chemistry World - the magazine of the Royal Society of Chemistry. Zinc podcast from Chemistry World - the magazine of the Royal Society of Chemistry. Phosphorus podcast from Chemistry World - the magazine of the Royal Society of Chemistry. Uranium podcast from Chemistry World - the magazine of the Royal Society of Chemistry. Lithium podcast from Chemistry World - the magazine of the Royal Society of Chemistry. Manganese podcast from Chemistry World - the magazine of the Royal Society of Chemistry. Neon podcast from Chemistry World - the magazine of the Royal Society of Chemistry. Tellurium podcast from Chemistry World - the magazine of the Royal Society of Chemistry. Potassium podcast from Chemistry World - the magazine of the Royal Society of Chemistry. Sulfur podcast from Chemistry World - the magazine of the Royal Society of Chemistry. Hydrogen podcast from Chemistry World - the magazine of the Royal Society of Chemistry. Mercury podcast from Chemistry World - the magazine of the Royal Society of Chemistry. Strontium podcast from Chemistry World - the magazine of the Royal Society of Chemistry. Helium podcast from Chemistry World - the magazine of the Royal Society of Chemistry. Seaborgium podcast from Chemistry World - the magazine of the Royal Society of Chemistry. Osmium podcast from Chemistry World - the magazine of the Royal Society of Chemistry. Magnesium podcast from Chemistry World - the magazine of the Royal Society of Chemistry. Lead podcast from Chemistry World - the magazine of the Royal Society of Chemistry. Technetium podcast from Chemistry World - the magazine of the Royal Society of Chemistry. Plutonium podcast from Chemistry World - the magazine of the Royal Society of Chemistry. Polonium podcast from Chemistry World - the magazine of the Royal Society of Chemistry. Nitrogen podcast from Chemistry World - the magazine of the Royal Society of Chemistry. Silver podcast from Chemistry World - the magazine of the Royal Society of Chemistry. Gold podcast from Chemistry World - the magazine of the Royal Society of Chemistry. Oxygen podcast from Chemistry World - the magazine of the Royal Society of Chemistry.